Wood screw: No.12 x 1.25 in. Pair. 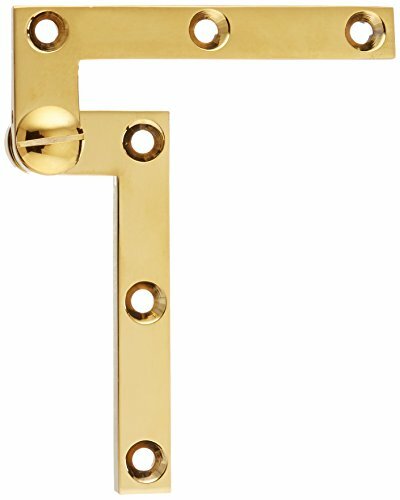 Specialty solid brass pivot hinge. Thickness: 0.38 in.. Wood screw: No.12 x 1.25 in.. 4.38 in. L x 0.63 W.